Do you have a business in Provincia de Limón. You can promote it FREE on this web site? See below for more details. 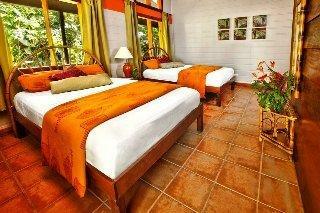 Description: Manatus Hotel is surrounded by the natural beauty of Tortuguero. You deserve to elevate your vacation experience to the next level. Description: The Beach Hotel Jaguar is located 25 miles from the center of Limón province (Caribbean coast of Costa Rica). It is located in front of Playa Negra, 1Km north of the center of town. Or you can also say it is 300m North of the Soccer field. The rooms are spacy and have a natural ventilation given by the raised up roofs.